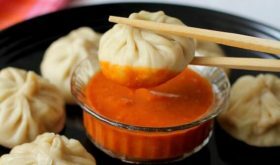 Momos chutney or red chilli dipping sauce served with momos is incredibly flavorful and easy to make. Ever since I posted the veg momos recipe, I have been flooded with requests to post momos chutney recipe. 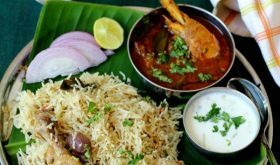 There are many variations based on the region it is made like Nepali chutney, Tibetan momos sauce or an Indian Chinese style momos sauce. Over the years, I have tasted a variety of dipping sauces that are served with momos both in high-end restaurants as well as street hawkers. Each time, the momos chutney that I tasted differed in flavor and texture. Some of the dipping sauces were either very spicy or overly salty or too sour. 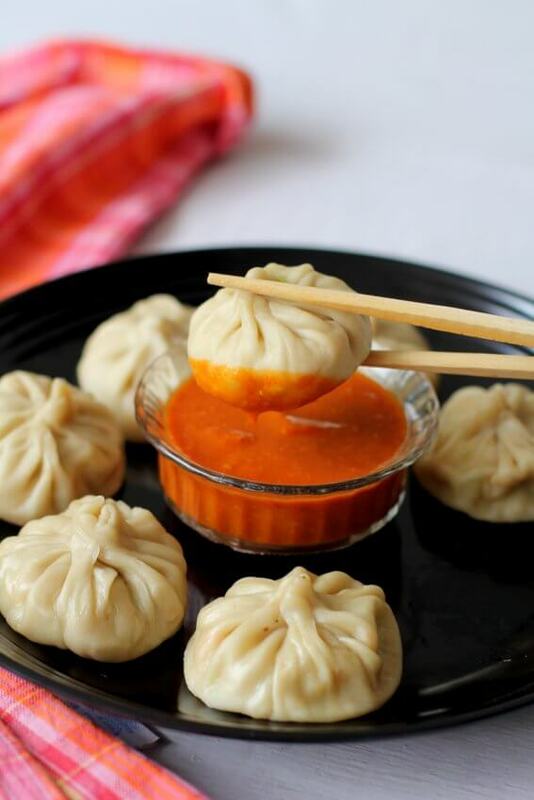 Usually, the momos chutney that is served in Indian Chinese joints is spicy with a reddish hue and a texture that is neither too thin nor too thick. If we dunk or dip the momo in the dipping sauce, the smooth sauce sticks to the momo. There are numerous versions to the basic momos chutney. 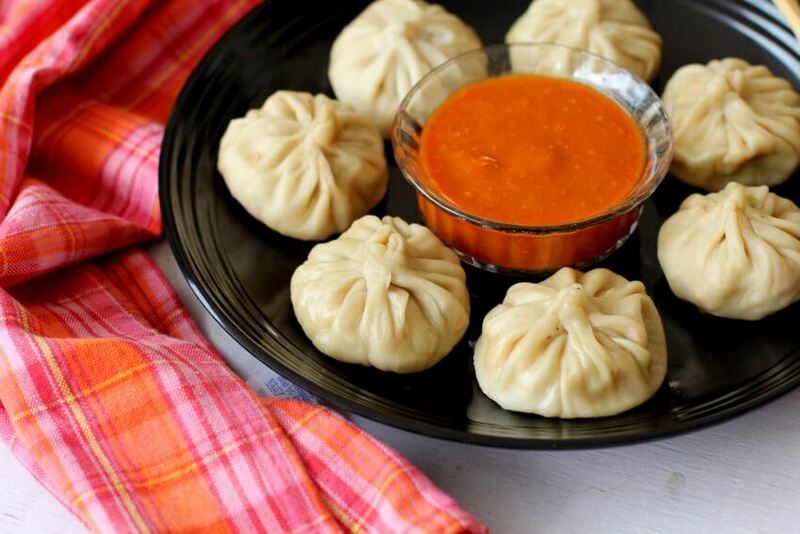 I am yet to find an authentic momos chutney that is served along the North Eastern belt of India and Nepal. 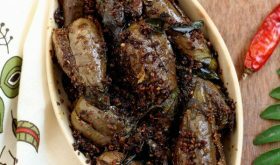 One version requires absolutely no cooking and it’s a smooth blend of red chilies, garlic, vinegar or lemon juice, soy sauce, sugar, and salt. Sometimes ginger, tomatoes or a few shallots are also added for variation. Another version requires roasting tomatoes over charcoal which gives a smoky flavored momos chutney. I am sharing a version of momos chutney that requires blanching tomatoes and roasting garlic before blending to a smooth paste. I find this flavorful dipping sauce has more depth and perfectly balanced sweet, sour and spicy flavors. There is a subtle layer of sweet and sour notes and a dominant garlicky-spicy flavor with a perfect dipping texture. 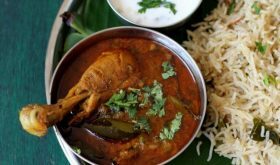 Red chilies are an essential ingredient and lend the sauce its deep red color and spicy flavor. Most times when I eat momos with chutney at a restaurant, I have a runny nose and tears flowing down my face due to the intense heat of the fiery chutney. I do not like a too spicy sauce so I make it at home I reduce the amount of chilies that go into the making of momos chutney recipe. I like to add sugar or honey to cut down on the spice and make it more palatable. If you are serving children, I’d suggest you reduce the red chilies used and increase the quantity of sugar. Those who like a spicy momos chutney can increase the red chilies used in the recipe. 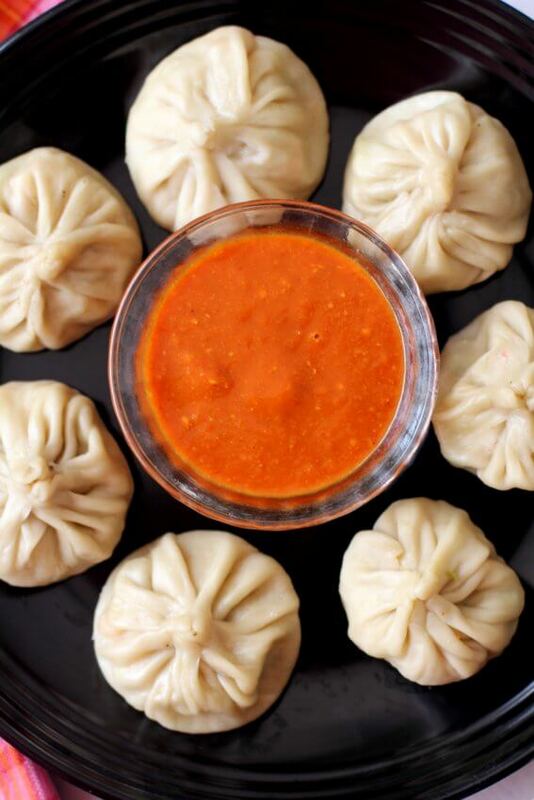 Nothing to beat a warm, comforting plate of freshly steamed momos with a delicious chutney or sauce. I hope you enjoy making and relishing this veg momos chutney recipe. Bring 1 1/2 cups of water to a boil, place the tomato in the hot water and cook for 6 mins on high heat. Drain the red chilies from the water and add it to the boiling water. Cook on high for 3 mins. Turn off the heat. Drain water and cool the tomato and red chilies. Heat 1/2 tbsp oil in a pan, add the garlic cloves and saute for a min. Turn off heat and set aside. Once the tomato and red chilies reach room temperature, peel the tomato and discard the skin. Blend the peeled tomato along with red chilis, roasted garlic, sugar, vinegar, soy sauce, and salt to a smooth paste. Add 1/3 cup water for a smooth flowing consistency. Heat a tbsp of oil in a pan, add the ground paste and cook on medium heat for 4 mins stirring constantly so that it does not burn. Turn off heat and remove to a serving bowl. You can use up to 6 red chilies for a fiery chutney. I used 3 red chilies for a medium spiced chutney. You can omit tomato and increase vinegar by a tbsp. 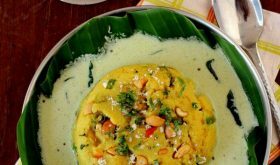 If the texture is too runny, mix a tsp of corn flour in little water and add it at Step 4 and keep stirring till it thickens. You can omit roasting the garlic and blend it along with rest of ingredients. I have used small garlic flakes. If using the large sized ones, use 4 garlic flakes. Oh gosh! My mouth is watering. ? For how many days can this sauce be preserved? 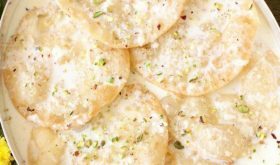 Hai.. can you please tell me what kind of vinegar add in this recipe?